Please complete the form below to report a problem in your area. If the problem requires immediate attention, please call (740) 593-5514. If it is a police emergency, dial 911.  Please note that the Athens County Engineer only has jurisdiction over county roads. If the problem involves a federal or state highway, or township road, you must contact either ODOT or the township trustees.